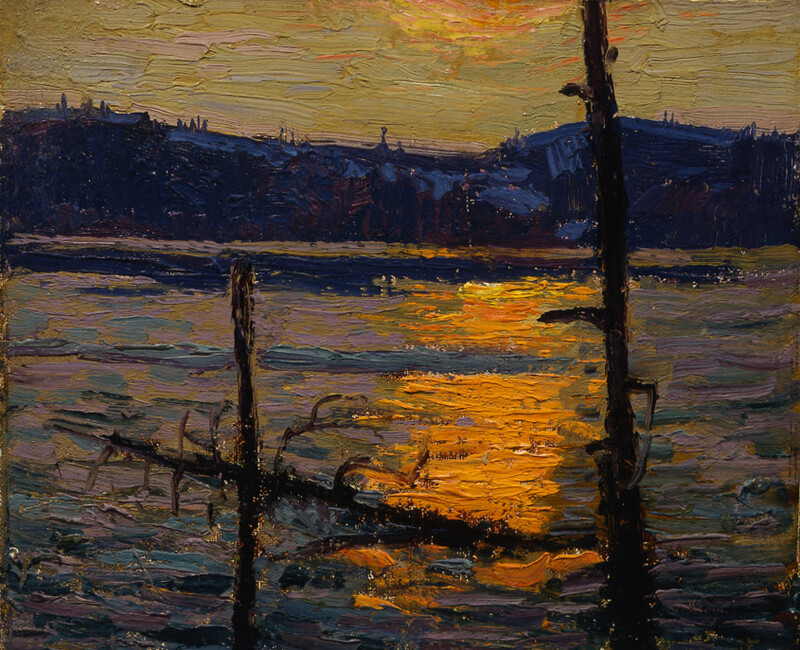 Winifred Trainor, Huntsville; Estate of Winifred Trainor; Private Collection, N.Y., U.S.A.
Tom Thomson Catalogue Raisonne (Joan Murray) no. 1916.60. Inscription recto: l.r., in black oil paint TOM THOMSON Inscription verso: l.r., estate stamp; u.l., in graphite, 1916; u.r., in graphite, Tom Thomson; m.l., in graphite, Canoe Lake.